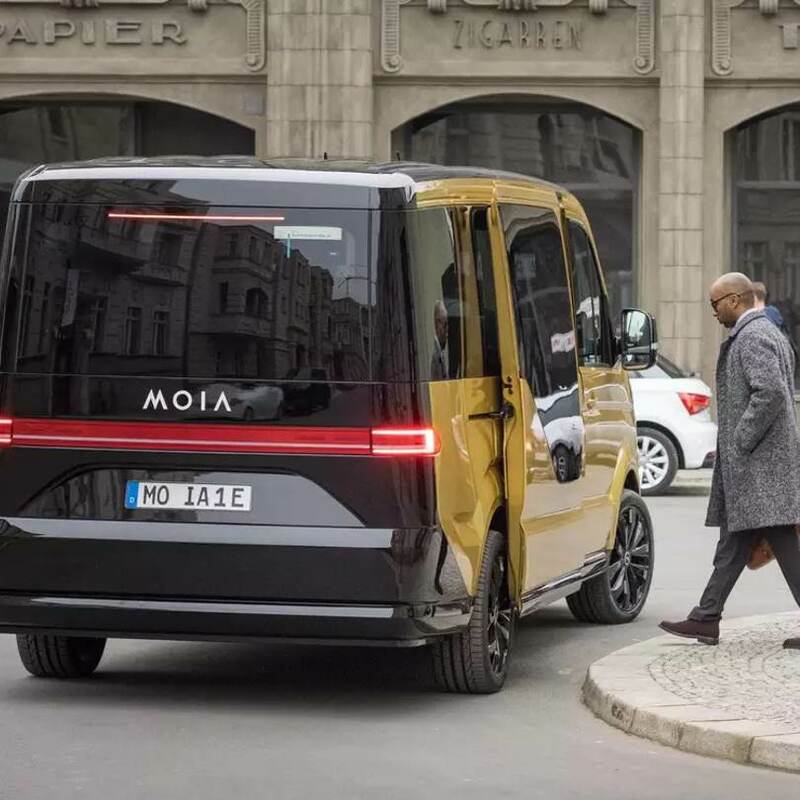 MOIA, the mobility startup from the Volkswagen Group, introduces its comprehensive ride pooling concept just one year after its inception. The MOIA concept provides new mobility options that will significantly reduce traffic in major cities. The startup will present its ride pooling ecosystem with the mission “One Million Cars off the Road” at TechCrunch in Berlin, where the self-designed MOIA car, that is fully electric and optimized for ride pooling services, will make its debut. “We started one year ago at TechCrunch in London with the vision of partnering with cities to improve the efficiency on their streets. We want to create a solution for the typical transport problems that cities face, such as traffic, air and noise pollution, and lack of space, while simultaneously helping them reach their sustainability goals. In a short time, we’ve laid the groundwork to add a new mobility component to the urban mix. In 2018, we’ll be ready to launch our ride pooling concept internationally and take the first steps toward our goal of reducing the number of cars in major cities by one million in Europe and the USA by 2025,” says Ole Harms, MOIA CEO. As a first project, the entire ecosystem including the newly designed car will launch in Hamburg at the end of 2018. “We’ll be able to offer the complete ride pooling value chain – as needed or just individual pieces,” says Harms. Various operator models will be possible and can be developed together with cities and partners. The last missing piece that of the complete pooling system is the MOIA car, which will be presented to the public for the first time at TechCrunch. In addition to the car, the system consists of a customer app, which passengers use to book and pay for a MOIA. The app shows which cars are available and how much the ride will cost before a customer books a trip. A pooling algorithm groups passengers with similar destinations together in order to increase the capacity for each car and to avoid detours. 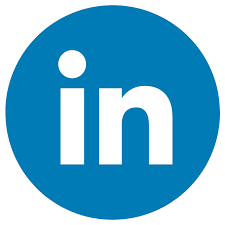 A driver app and comprehensive fleet management complete the system. The MOIA car is a fully electric car that provides space for up to six passengers to fit comfortably. The interior was designed to be spacious, with standalone seats, plenty of legroom, and enough space to move around and reach each seat with ease. The car was developed and designed exclusively for ride pooling services – every ride should be comfortable. Even those passengers who wish to have no contact with other passengers should feel comfortable onboard. The seats are equipped with convenience features such as dimmable reading lights and USB ports. Each car also offers fast WiFi for passengers. The optimized automatic door and handlebar make getting in and out of the car easy. And luggage can be stored in a spacious area next to the driver. “The car represents total comfort and is a crucial piece of our consistent service experience. We developed it using our co-creation process, which involved multiple rounds of potential users of various age groups testing cars and providing feedback. Many of the ideas from this process went directly into the development of the car. We’re also working on other future versions as well,” says Robert Henrich, MOIA COO. 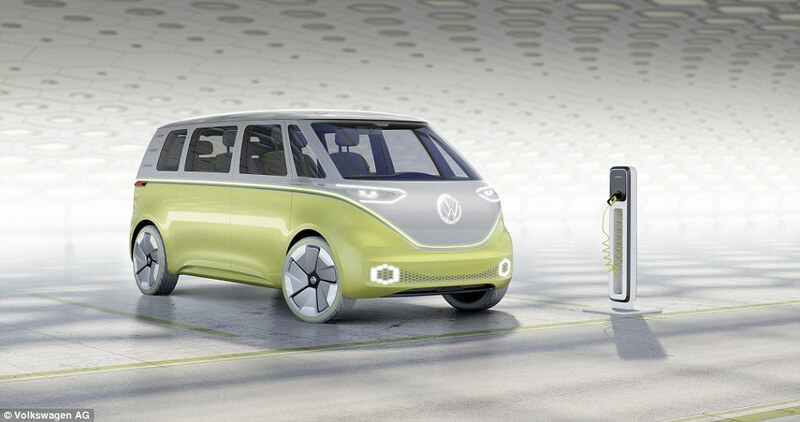 Volkswagen Commercial Vehicles and Volkswagen Osnabrück planned, developed and built the MOIA car in record time: ten months. The car has a range of more than 300 kilometers according to WLTP-standard and can be charged up to 80 percent in about 30 minutes. 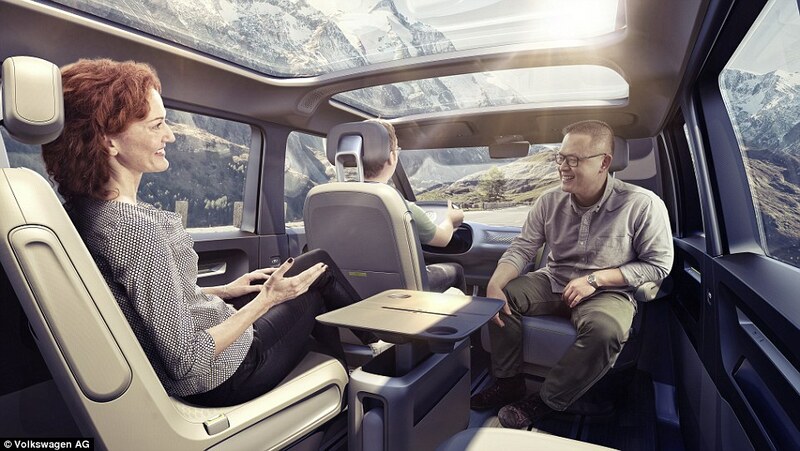 “Together with MOIA and VW Osnabrück, we are redefining car manufacturing;” says Eckhard Scholz from the Executive Board of Volkswagen Commercial Vehicles. “We are very proud of the fact that we were able to build a new car specifically tailored to the needs of ride pooling in just ten months.” This accomplishment was made possible through the use of agile processes in the Osnabrück plant. The car will make its debut on the streets of Hamburg next year. MOIA has been testing its service in Hannover since October 2017 and continuously developing its components in real-time. The “MOIA co-creation process” is an integral part of this test, which consists of a fleet of 20 Volkswagen T6 Multivans. 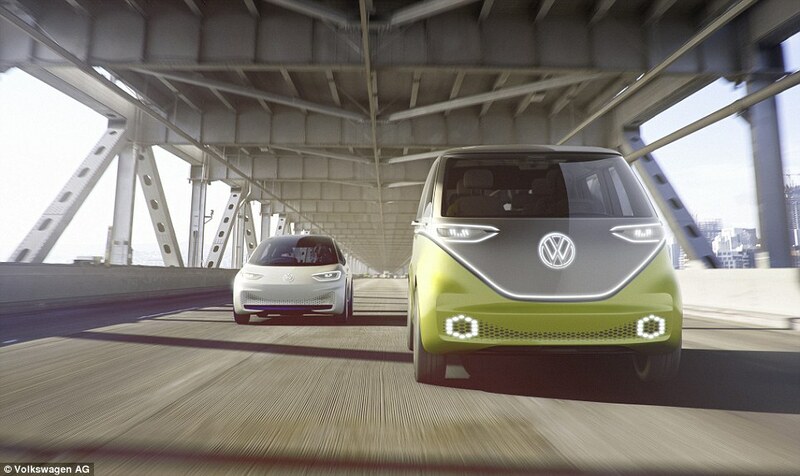 At the recent Detroit Motor Show VW showcased the I.D. Buzz as the second component of the Group’s all electric I.D. range. The I.D. 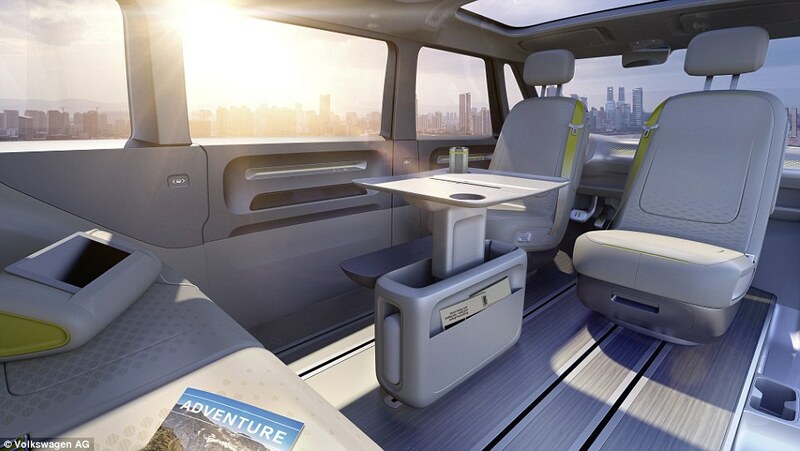 Buzz revives the VW camper van in an eight-seater concept that has an flexible interior and can drive itself. The Buzz will be powered by two electric motors with a combined 369bhp output and shares the same MEB (modular electric platform), platform as the Golf-sized I.D. concept revealed last year. The Buzz should go on sale in 2022. The I.D. Buzz follows in the footsteps of the I.D. concept revealed last year at the Paris Motor Show. 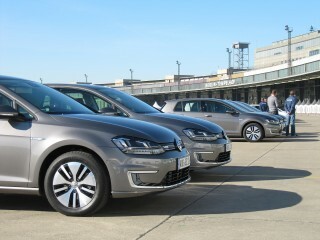 The model revealed in September 2016 was a Volkswagen Golf-sized family car, powered by a 168bhp electric motor and batteries capable of covering over 300 miles between charges. 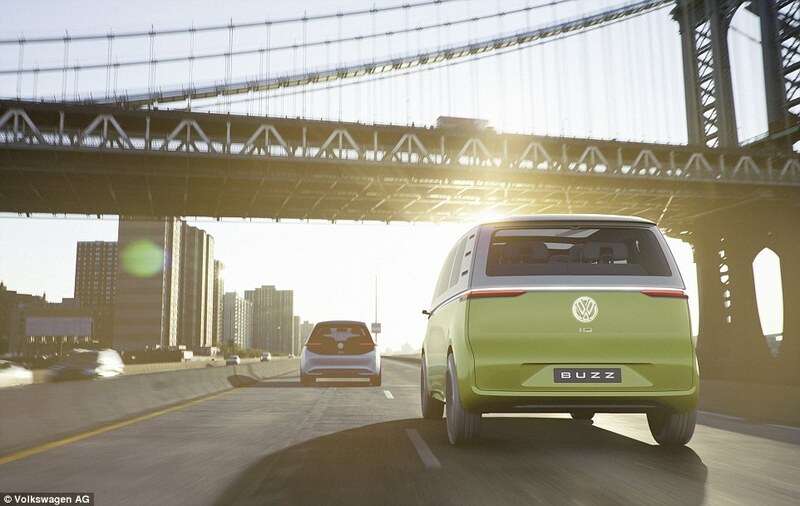 The Buzz is the second car in the ‘I.D.’ sub-brand, and VW says it ‘forges links between the legendary origins of the Volkswagen brand and its electrifying future’. Its retro looks will certainly appeal to many buyers, especially those who were fans of the original Volkswagen Type 2, which was built from 1950 and still holds the legendary status that it gained through the sixties and seventies. 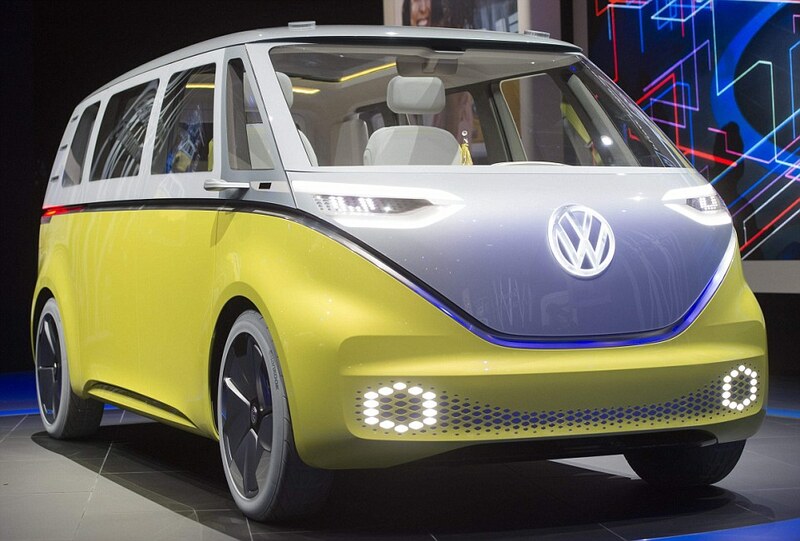 Many of the same features have been carried over to this 2020 vision – including the two-tone split paintwork and the almost flat-nosed front end sporting a back-lit oversized VW logo. The computer images do look interesting. The I.D Buzz with dual motors producing 369bhp, compares to the 50bhp on offer in the late 1960s and early 1970s Type 2 camper vans and fifteen times the 24bhp output of the original. 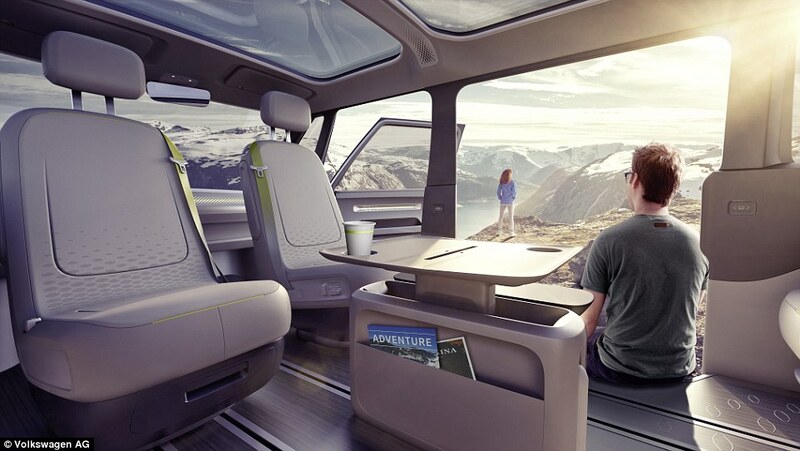 It has also been designed to be self-driving when the driver wants to take a break. The design has been dragged into the future with LED lights front and back, a glowing strip that divides the contrasting paint colours around the vehicle, and enormous 22-inch alloy wheels. Like the Golf-sized I.D. 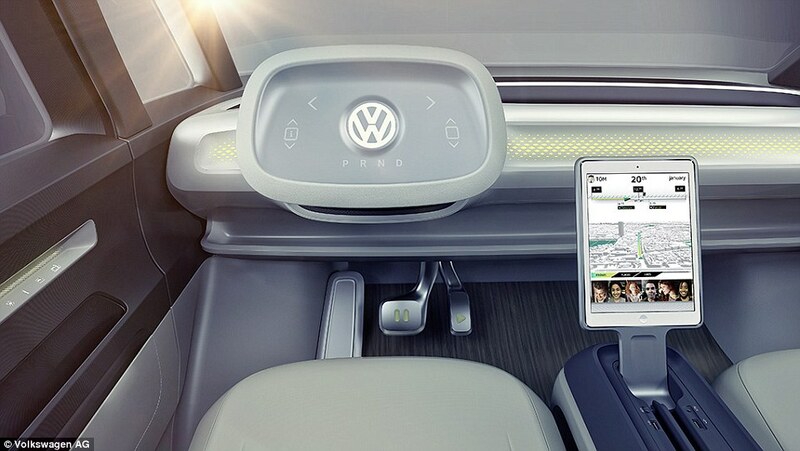 concept, the Buzz has been built on the MEB which Volkswagen says shows ‘the potential and bandwidth of the MEB’ and should be the basis for a fleet of 30 EVs as part of its ‘Strategy 2025’ plans. All part of VWs “lets move away from Diesel and engine rigging gate” cunning plan. 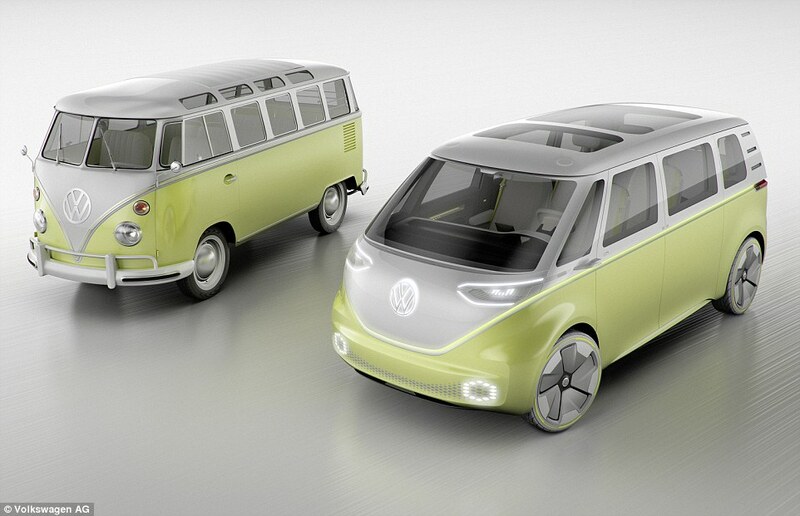 We look forward to more details from VW. We though the Dieselgate was winding down and consumers were starting regain trust in VW it seems that there is more to cloud the air. Yes more allogations of fixing. This time software to reduce CO2 embeded in the gearbox. 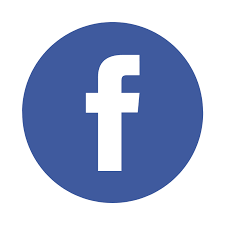 Reuters report that Germany’s Bild am Sonntag uncovered that the California Air Resources Board (CARB) discovered software in an automatic transmission used by Audi to hide emissions, this time in both gasoline and diesel cars. According to the report, the software discovered by CARB, which was installed in vehicles with certain automatic transmissions, detected whether a car’s steering wheel was turned. 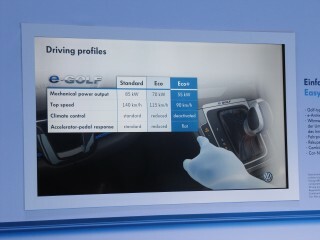 If it was not, indicating laboratory testing conditions, the software turned on a gear-shifting program which produced less carbon dioxide than in normal road driving. If the wheel was turned in any direction by more than 15 degrees, the program was switched off, the paper said. The Bild am Sonntag report claimed Audi stopped using the transmission-liked defeat device in May 2016 and that CARB found it in a vehicle built prior to this date. 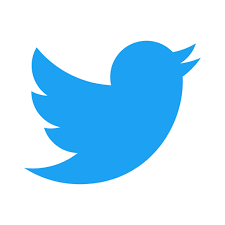 The discovery, which was reportedly made in the summer, may explain why the Justice Department has told the VW Group to refrain from making public the results of law firm Jones Day’s independent investigation into the original diesel emissions cheating scandal at the automaker. The request by the Justice Department was said to be due to the desire to keep confidential details linked to other probes. 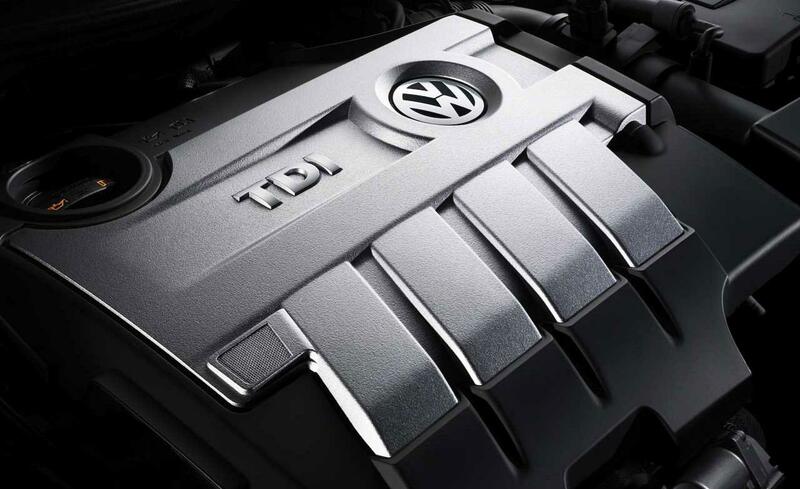 It seem that the VW Group will not offer compensation to European customers who bought a diesel car with “cheat” software, taking a different tack from in the U.S. where the automaker will provide a goodwill package worth $1,000 to affected owners. 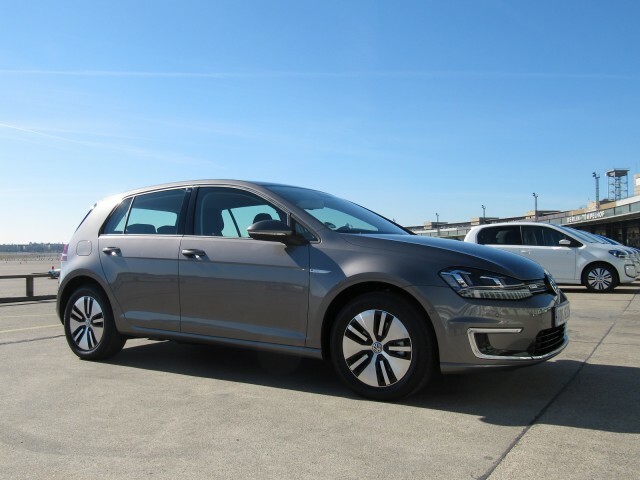 VW delivered the very first e-Golf to a new owner in the USA. The car was auctioned by VW and awarded to the highest bid. The three week auction saw Mr Bruce Oberg place the highest bid of $41,000. That’s a little more than the $36,265 base price. 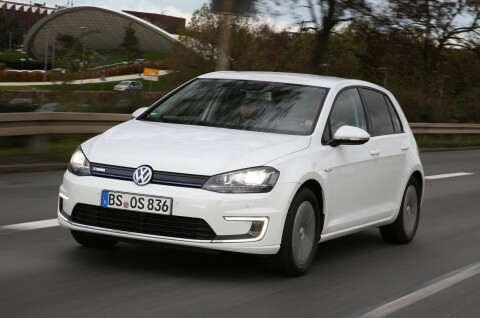 The 2015 Volkswagen e-Golf will be launched over the course of the month at selected VW dealers in an initial distribution area limited to California and a handful of Northeastern and coastal states. Those first launch areas include California, Connecticut, Maine, Maryland, Massachusetts, NewJersey, New York, Oregon, Rhode Island, Vermont, and Washington D.C. 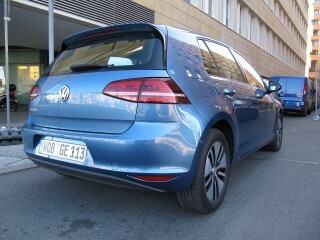 The e-Golf is part of the redesigned seventh-generation Volkswagen Golf range now on sale in the U.S. 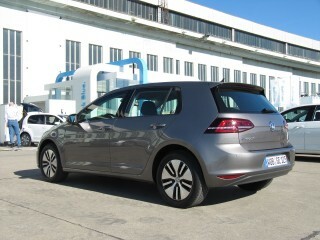 In the UK the e-Golf is available from £30,845 before £5,000 government grant of from £309 / month as a business lease. 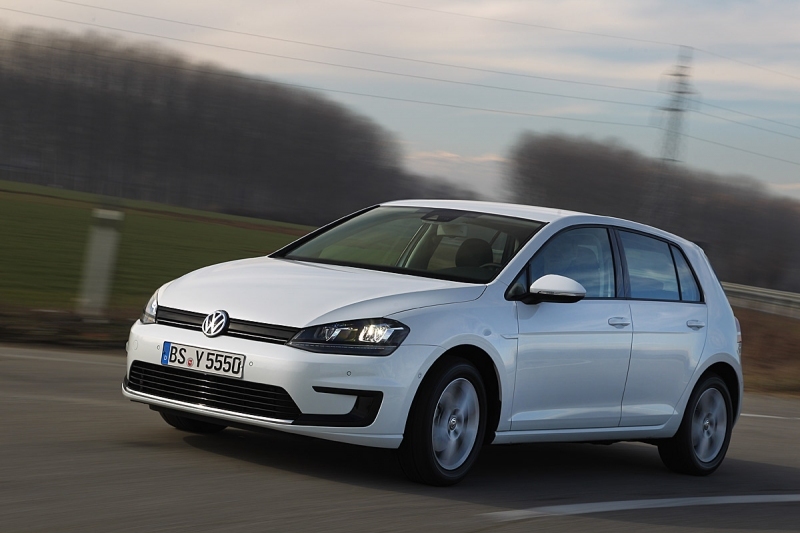 GTE stands for GT Electric, and it will be the badge worn by Volkswagen’s upcoming Golf plug-in hybrid model–distinct from “e-Golf,” the model name for the battery-electric Golf that will be sold in the spring. 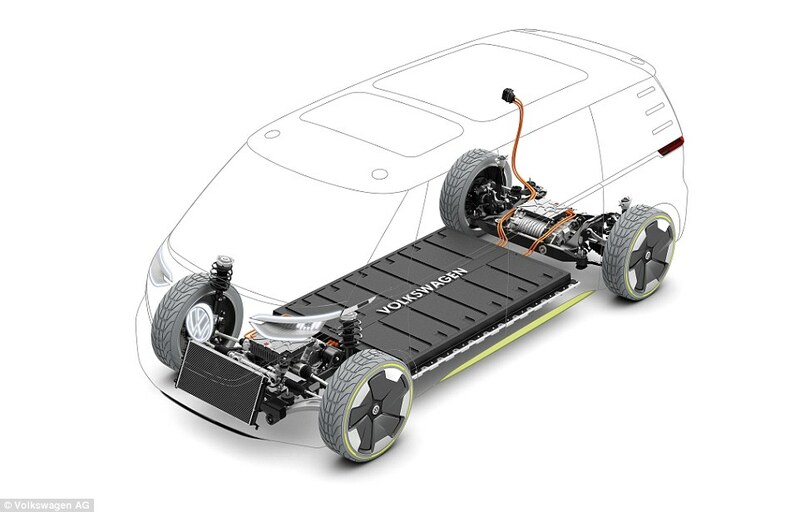 Autocar reports that the plug-in hybrid performance machine will use the same powertrain as the Audi A3 e-tron, which rides on the same Volkswagen Group MQB platform as the Golf. That means motivation will come from a 1.4-liter direct-injected and turbocharged, four-cylinder gasoline engine with 148 horsepower, paired with an electric motor good for an additional 107 hp. An 8.8-kilowatt-hour lithium-ion battery pack provides electricity. 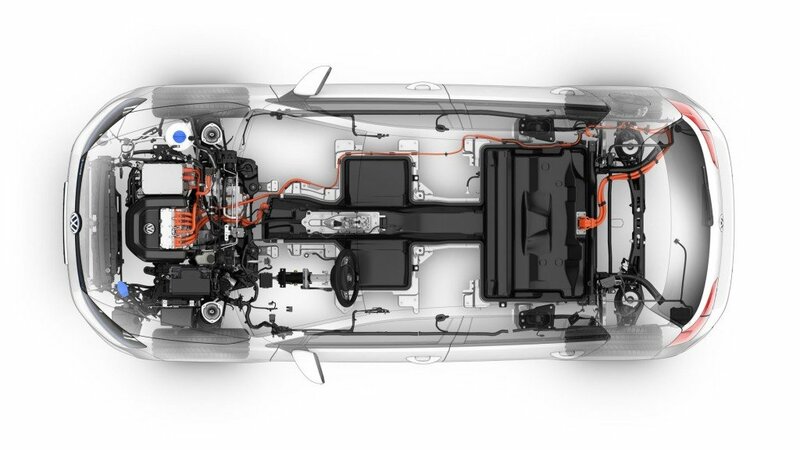 Since the gasoline engine and electric motor have different power peaks, their individual outputs can’t just be added together. The GTE should have a total system output similar to the A3 e-tron’s 204 hp and 258 pound-feet of torque. That power is sent to the front wheels through a specially-adapted e-S tronic six-speed dual-clutch transmission. 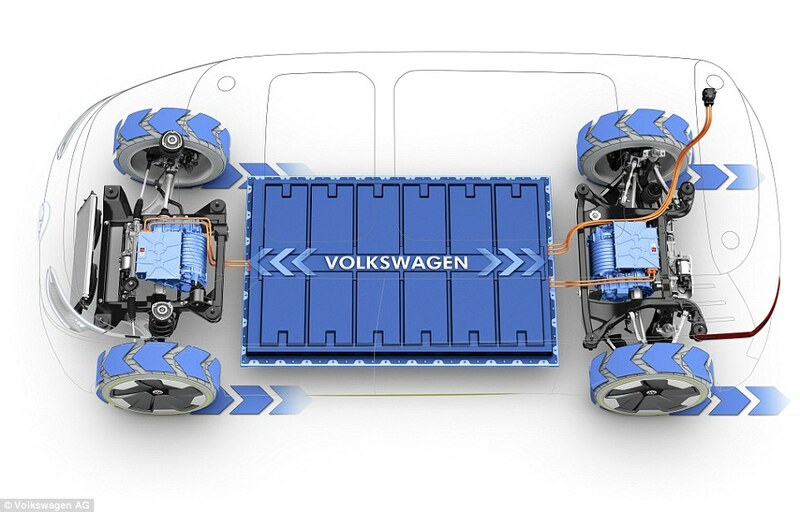 That drivetrain will reportedly propel this plug-in from 0 to 62 mph in 7.6 seconds and reach a top speed of 135 mph. That means the GTE probably won’t win a drag race against the non-hybrid GTI, but those numbers are fairly impressive for a car that claims to be sporty and efficient. The GTE is expected to get 156 mpg on the European cycle.